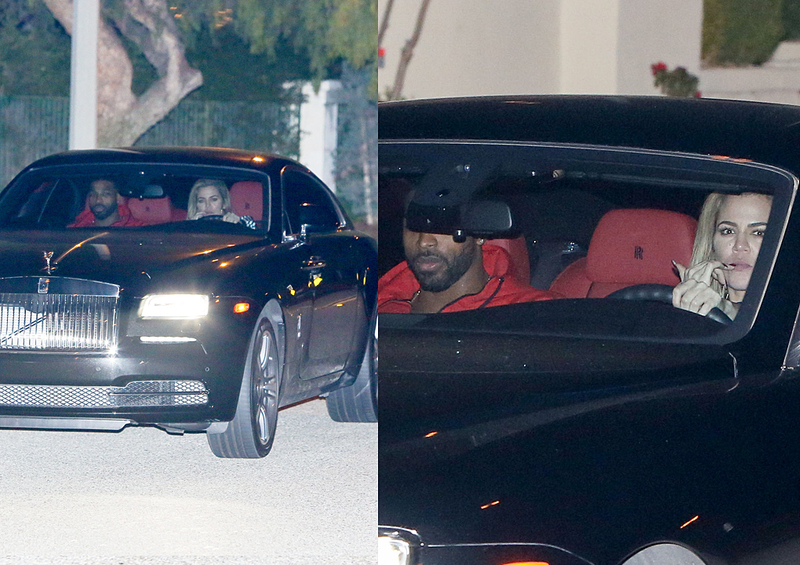 Khloé who’s expecting her first child with Tristan Thompson, 26, took to Snapchat to post photos of her all-pink dinner party on Feb. 6, and fans are freaking out! 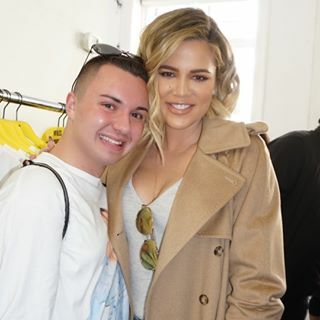 A lot of fans asked to Khloé if it was her baby shower? The answer is: NOO! Just a diner party with friend and family. Khloé pulled out all the stops to celebrate the birth of Kylie Jenner’s daughter Stormi on Tuesday. 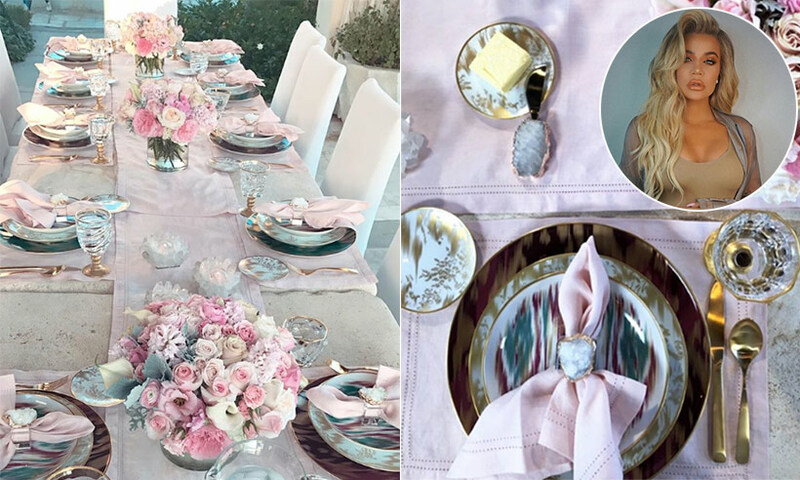 The Keeping Up with the Kardashians star hosted a pink-themed dinner party for her family in honour of the new arrival, and as you might expect from the star, the décor was beautiful. The mum-to-be shared a photo of her dining table on Instagram Stories, showing it all set up for the entire family to dine together. 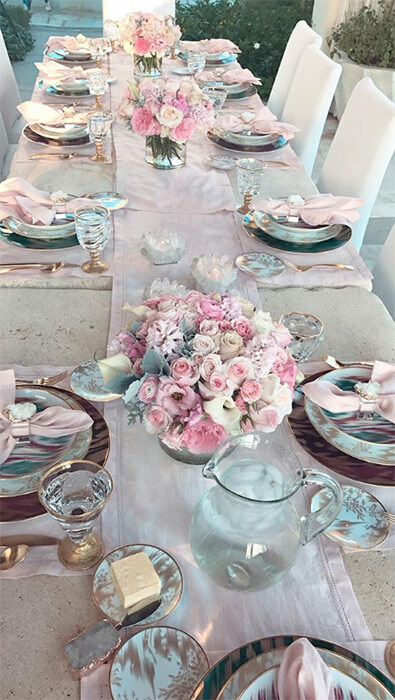 A baby pink runner and three large vases filled with pink and white roses were placed along the centre of the table, with co-ordinating pink place mats and napkins at every setting. Every single detail appeared to have been carefully thought out, with gold cutlery and gold-rimmed glasses in place to complement the tableware, which included decorative plates and bowls that were splashed with gold and berry-toned colours – a perfect nod to the interiors trend for metallics in 2018.